Graham insisted on a margin of safety in investments, meaning he only bought into a stock when it was priced well below an arguably conservative company valuation. That way, there was plenty of upside when the market moved higher, but there was a cushion in case stocks took a turn lower. Want to invest like Graham? Take a look at Securities and Exchange Commission filings using the SEC’s EDGAR Search Tool. Watch for quarterly filings and current reports to monitor liquidity and prepare for quantitative hurdles. 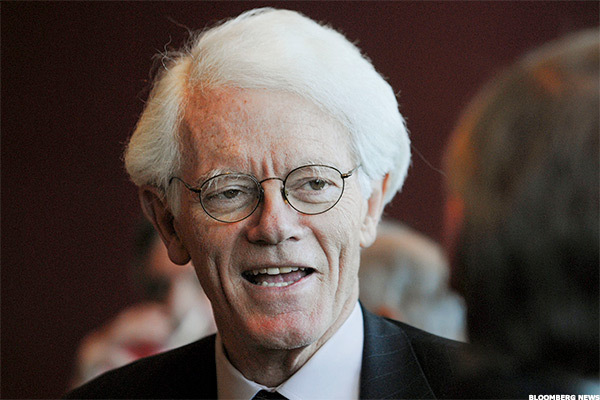 After rising through the ranks at Fidelity, Peter Lynch has become synonymous with market adaptation that leads to strong returns. He’s known as an investing chameleon, altering his approach to whatever the market sentiment might be. Before he retired from Fidelity in 1990, Lynch made use of a list of eight investing principles to live by. Those principles have been distributed to investors and are as follows: Know what’s in your portfolio; forget trying to predict the economy or interest rates; remember that you have plenty of time to identify exceptional companies; stay away from the long shots; buy stock in firms that have strong management at the helm; be flexible and learn from mistakes; be able to explain why you’re buying or selling any holding; and remember there will always be something to worry about. It’s also worth noting that Lynch rarely minds short-term market moves. He’s a long-term investor and wasn’t bothered by brief fluctuations in his investing career. If you’ve got years ahead of you still in your investing career, keep an eye on the future. Even after corrections, the market always moves in an upward trajectory. The “Oracle of Omaha” is among the most revered and most followed names in investing, amassing a net worth of $89 billion in a career that’s spanned more than seven decades. Buffett’s strongest piece of advice? The best offense is a good defense. He looks for stocks with “moats,” as in the water-filled ditch that keeps a castle safe when under attack. Buffett has pointed to strong free cash flow, good return on capital and hearty competitive advantages as some of the strongest moats for stock picks. “During such scary periods, you should never forget two things: First, widespread fear is your friend as an investor, because it serves up bargain purchases. Second, personal fear is your enemy,” Buffett has said. Munger is Buffett’s right-hand man, and although he might not have the name recognition Buffett has outside Wall Street, he’s a venerable investor himself. In a collection of Munger’s speeches and quotes throughout the years, Peter Kaufman identified a number of techniques Munger espouses. He advises investors to measure risk, implementing a margin of safety while taking into account both financial and reputational challenges that could arise. He also says to allocate investments wisely, calling it the No. 1 job of a smart investor. Munger has warned against “falling in love” with investments or going all-in without being opened to adaptation or other opportunities. In a downturn such as this one, investors are smart to remember Munger’s call to be patient. Resist the urge to act on impulse and remember the words of Albert Einstein: “Compound interest is the eighth wonder of the world.” If you wait for it, it will come – and it will be worth it. In a special report on CNBC Monday evening titled “Markets in Turmoil”, Mad Money host Jim Cramer told investors to have their shopping lists ready for the market opening Tuesday morning. Cramer said he expects the market to open down 3% and the VelocityShares Daily Inverse VIX Short-Term ETN (XIV – Get Report) to put downward pressure on the opening. He encouraged investors to have their shopping list ready and do some buying. Some names on the shopping list? JPMorgan Chase & Co., Amazon.com Inc. , 3M Co., Illinois Tool Works Inc., Johnson & Johnson and Cypress Semiconductor Corp.
Former personal finance columnist for The Wall Street Journal and current author of the Humble Dollar, Jonathan Clements has long offered advice to individual investors looking to make the most of their money. There’s reason for optimism in that stocks, while riskier than bonds, are priced to deliver high returns. There’s a prospect for “endless gains if things go well.” But there remains caution, as there is “possibility of losing everything” if things go south. “You want to own shares during bull markets and sidestep those nasty market declines. Yet that has proven extraordinarily difficult to do. Stock market gains and losses tend to occur in short bursts, so it’s all too easy for market timers to be caught flat-footed. While market-timing was popular decades ago, today money managers typically stay fully invested in the market, and instead try to add value through stock-picking,” said Clements. The original article was written by Kinsey Grant, appears on thestreet.com and is available here.